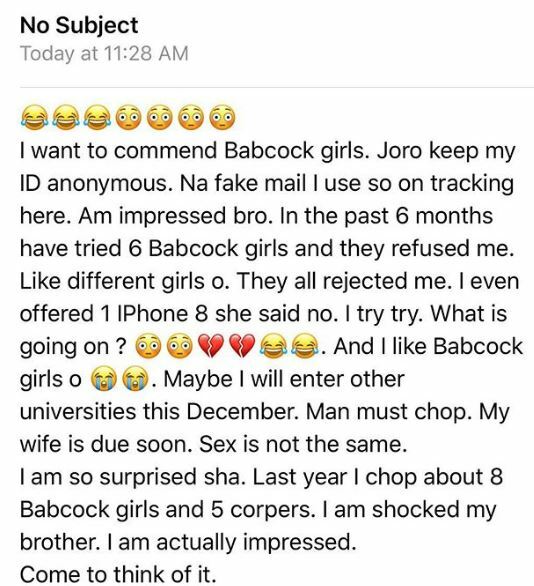 A married man whose wife is heavily pregnant has revealed that he slept with 8 female students of a private university and 5 other female corp members. Nigerian relationship adviser, love doctor and online psychologist, Joro Olumofin has shared the story of a man luring young ladies to his bedroom with the power of money. According to him, he slept with 13 young ladies last year. His wife is presently pregnant and this year hasn’t been smooth for him as some ladies are turning him down. His story has elicited negative reactions from female folks on Instagram.